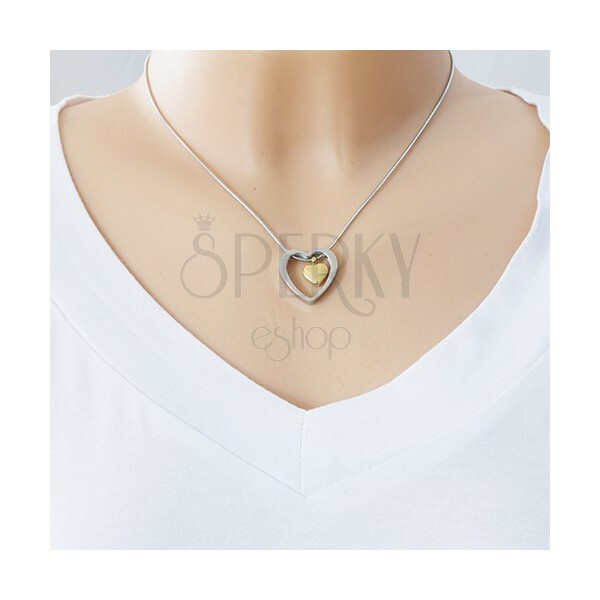 Steel necklace, chain with a snake motif, smaller heart in golden colour placed in a heart contour in silver shade. 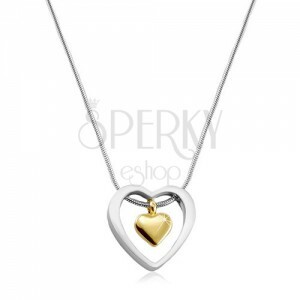 316L steel necklace consists of a shiny chain with a snake motif and of two pendants. 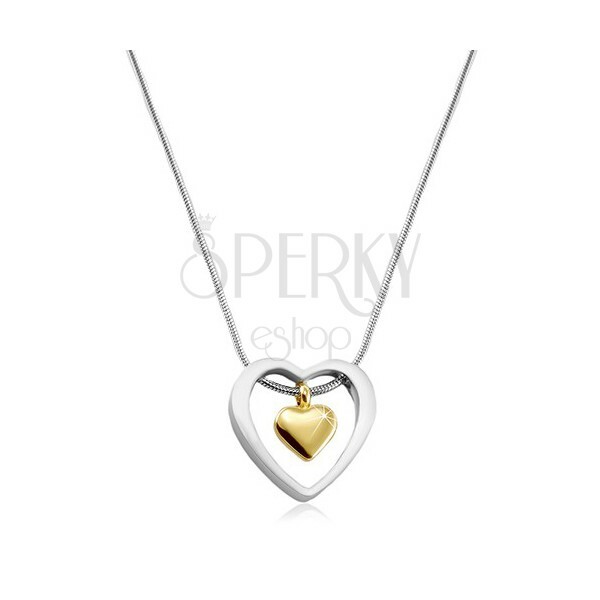 The smaller full heart has golden colour and slightly rounded surface. It is placed in a contour of a bigger heart. The chain and bigger pendant are made in silver shade. The chain has a lobster clasp.